The 1234AC is a smart main studio monitor for use in demanding film and post production work, where perf screen or hi-res LED displays are employed. Designed for mixing stages and large control rooms, the directivity and SPL capability of the 1234AC is compatible with typical screen channels in commercial cinema, albeit offering the higher performance, lower distortion and lower noise required for professional monitoring. The 1234AC may be used in either horizontal or vertical orientation, thereby providing tailoring of low frequency directivity to both the room and the monitor placement. Its acclaimed DCW waveguide ensures precise imaging both on and off axis – giving the user the ability to make accurate mix decisions even when sitting outside the narrow sweet spot of most studio monitors. The three-way 1234AC comes with an all-active, high-performance Genelec RAM XL amplifier to power its dual 305 mm (12 in) woofers, 125 mm (5 in) midrange and 25 mm (1 in) high frequency drivers to deliver a wide 29 Hz – 21 kHz frequency response and a short-term level in excess of 125 dB SPL, with even higher peak levels. The 1234AC tightly integrates with the Genelec GLM application, which may be used to compensate for detrimental room influence, perf screen effects and delay, regardless of whether you work with traditional or large immersive formats. 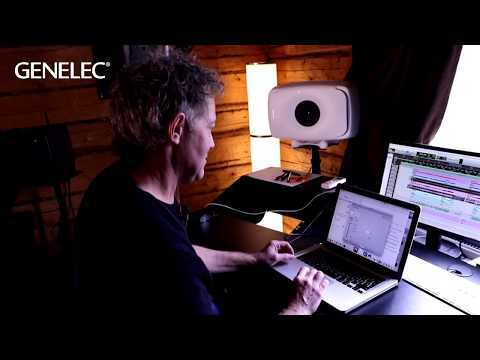 GLM also builds complete monitoring systems, so that the 1234AC can easily be combined with other types of Genelec SAM monitors and subwoofers. In operation, GLM doubles as a monitor control application, offering mono and solo functions, monitor switching, SPL calibration and system delay - without the need for any additional hardware.